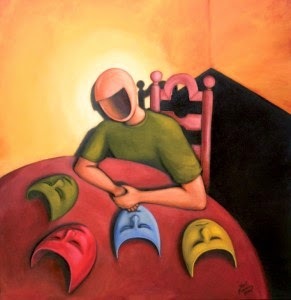 The primary reason people use social media is to showcase their own identities. It's essentially like a giant selfie. This is why a local cupcake shop will get more Facebook likes than a local construction company. It's a reflection of who we are. Any time you can tie your brand to the identity of the customer, you'll have a win on your hands. In recent years, people have gone from information hunger to information overload. People would almost rather give out their social security number than their email addresses. But if you can become the go-to source for relevant information on a specific topic, customers will seek you out like they reach out to Upworthy and Pinterest. Internet users are more likely to finish a 30-minute video than they are an article. If you're not using online video, you're missing a big part of your audience. Plus, customers are increasingly making purchases directly through videos. A few examples: a new service called Insay and Target's "Falling for You" video campaign. Consumers frequently use multiple devices at once--TV, mobile phone, laptop, and tablet. 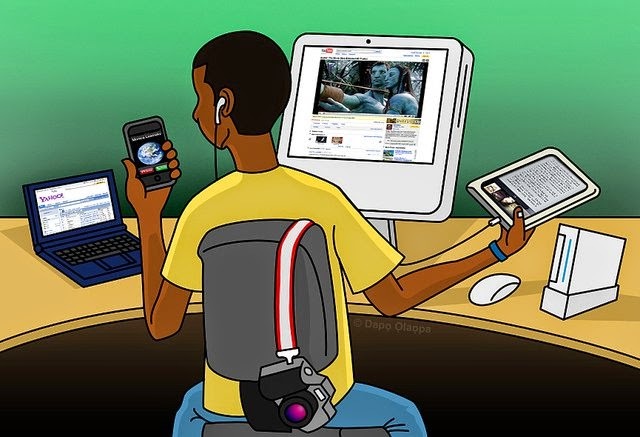 It wouldn't be pretty surprising if in 10 years, all that might be one device, but in the next two to five years, we actually expect an increase in the number of devices we are using at once. For companies, the challenge is to find ways to interact with users on multiple screens and to cope with ever-shrinking attention spans. Analytics are very significant to understand customers and change ways on how best to reach them. If 50 percent of your traffic is from mobile and your website isn't optimized for mobile phones, you're going to lose half of your traffic right there. 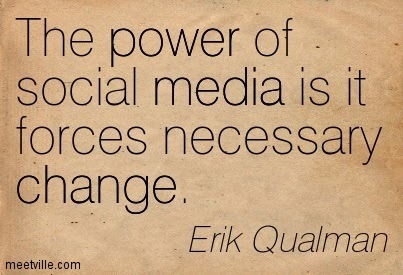 All of your employees need to be social media savvy, not just the social media team. Each individual should be a creator, curator, and connector, and organizations should focus on agility, aggregation, and adaptability. Above all, people should be posting content that is relevant to the customer. You don't want to be like the person on Facebook who only shares updates about their dog. Companies should look beyond their own niches and industries when it comes to marketing ideas. Sometimes a company in an entirely different industry will have a great marketing tactic that none of your competitors have ever considered. So, watch out and think outside your comfort zone! Here's a good example! A stolen bike could take weeks or months to retrieve, if it comes back at all. But Christian Garnette had his back in just a day. Rather than reporting the theft to police last Tuesday after the 23-year-old Toronto man realized his bike was stolen, he turned to complete strangers on the Internet to help find it. He posted a picture of his bicycle on the Facebook group of a local fixed gear shop around 3:30 a.m., asking if anyone had seen it since it went missing near the corner of Parliament Street and King Street East. All that remained was the front wheel and lock of the bright white bike. “I had a feeling I would actually get it back because my bike stands out a lot and it’s kind of hard to disguise,” Mr. Garnette said. Just 10 hours later, someone commented on his post with a photo of the bike six blocks away at Parliament Street and Gerrard Street East, locked and with a new front wheel. The stranger and his friend guarded the bike until two men arrived, claiming to have purchased the bike themselves. After a brief dispute, they were told Mr. Garnette, the rightful owner, was on his way, and conceded the bike as well as the replacement tire, for good measure. More than 3,400 bicycles in Toronto were reported stolen in 2012, according to Toronto Police Services. This was roughly 300 more than the previous year. Jared Kolb, executive director of Cycle Toronto, said the increase in thefts is proportional to the growing number of cyclists in the city. Toronto police spokesman David Hopkinson said many thefts are the result of people not locking their bikes properly to both the front wheel and frame, or sometimes at all. He said the trend of bike thefts should decrease as people become more aware of prevention resources. This includes a free online Toronto police registry, where people can record their bike’s serial number, located on its lower bracket, which can be used to recover it should it go missing. Still, many choose not to report their bicycles to police due to a general apathy, Mr. Hopkinson said. This makes it much more difficult for police to retrieve unregistered bikes. The relatively small size of bicycles also makes them easier to not only steal — but also hide permanently. But Mr. Kolb said people aren’t necessarily seeing results from police when their bikes are stolen. Monday marks Toronto’s 25th Bike to Work Day, which encourages people to try cycling as their daily commute mode. Kelly Patrick, a 46-year-old who moved to Toronto in January from Ottawa, decided she would cycle to work for the first time Wednesday, locking her bike just outside her office building along Front Street East. When she left to go home for the day, it was gone. Ms. Patrick said she walked to a nearby police station to report the theft, but that the constable at the front desk was unhelpful. 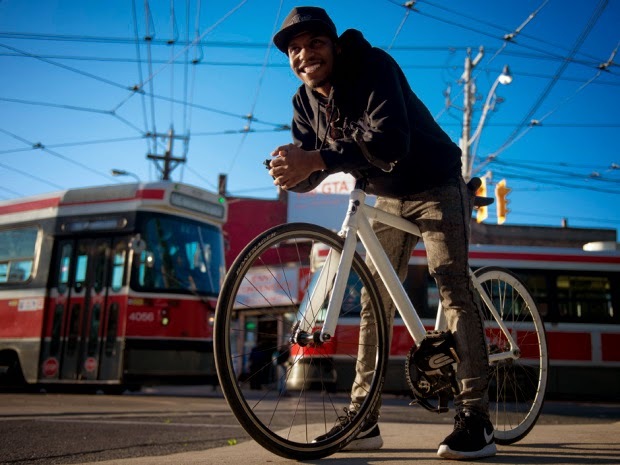 In a survey conducted by Cycle Toronto, 168 of 303 respondents said their bikes had been stolen, but just 22% had registered them with Toronto police. Less than half reported the theft to police, and of these, 88% didn’t think it was worth it to report it. Mr. Hopkinson said this was unsurprising. But Ms. Patrick said her six-year-old bike meant more to her. GEAR UP FOR TWITTER'S NEW PROFILE! Announced early last month, the Twitter profile update will soon be required for everyone on the service. Beginning May 28, all Twitter users will have the new profile, which has already been rolled out to new users and some existing users in the past month. MAKE YOU GRAPHIC DESIGNS ONLINE! Canva is online designing tool which helps you create blog graphics, presentations, Facebook covers, flyers, business cards, posters, invitations, and off lately Pinterest and Facebook Ads!! 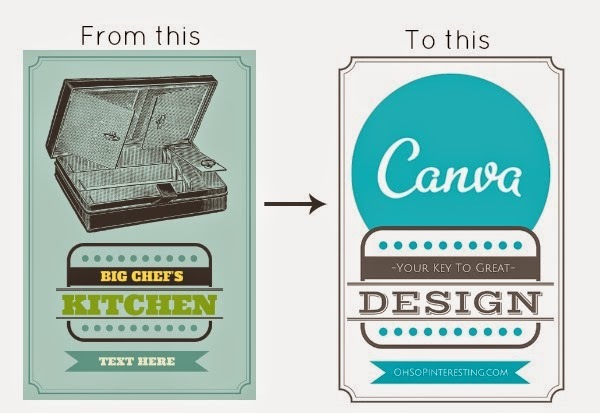 Canva makes designing very simple for as it easily allows to turn simple ideas into amazing designs. It easy-to-use interface makes does save a of time and money if you are a busy person. 1. Select the type of design you would like to create based on the options available. Canva already has the standard pixels set for you. 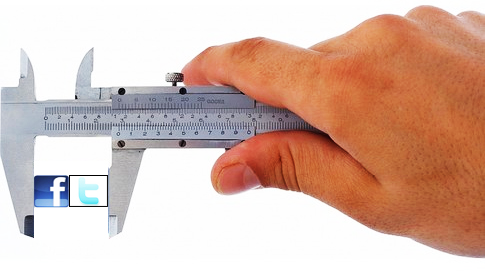 If you are not comfortable with the dimensions, you can use your own custom dimensions. Search: Search images/graphics which are available. Layout: Select a layout in accordance to your need. Text: Select different kinds of text available to provide useful information. Background: Select a background from a variety of options. Uploads: You can upload your own images or images from your FB account. 3. Some of the images are at a premium price of $1. There are over one million premium images. Ever had a Facebook page and never been able to design the cover page due to lack of designing skills?? 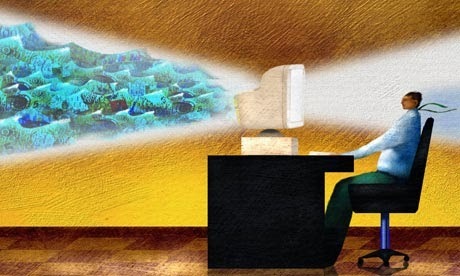 Do you ever wish you would know how to design using Photoshop? Have you ever had difficulties finding the free image for your blog post? Well, there is a solution to these questions. Simple usability. You can’t imagine a simpler tool than this to design your blog posts, FB posts, Pins, etc. Save time. It saves a lot of time in comparison to other sophisticated tools like Photoshop. Has numerous templates which helps the user to save time on how to design the post. Includes hundreds of free graphics, photos, fonts, and layouts. Drag and drop feature. You can easily drag the layout/graphic and drop in the design area. Online tool. You cannot access the tool when you don’t have internet around you. That being said, Canva is one of the best online image tools out there. The speed and ease of use that Canva offers for blog and social media graphics!